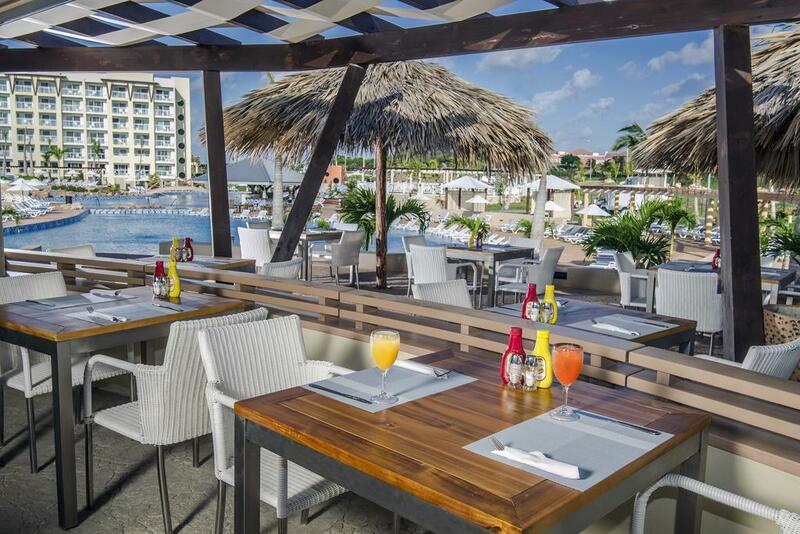 Stop wondering and get the inside scoop on Melia Marina Varadero from us! 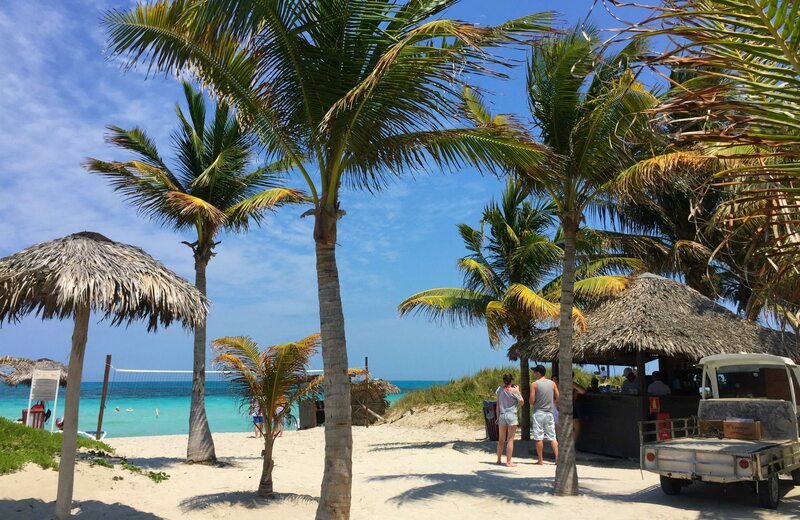 Find out what a week at this all-inclusive Cuban resort is really like. With so many Cuban vacation deals and accommodation options out there, choosing the perfect place can be overwhelming. And looking up reviews on Trip Advisor often isn’t always helpful. There are millions of reviews and it’s hard to know who to believe. I find if you look long enough, it can be down right scary to think you will have a good vacation if you choose Cuba. It’s kind of like doing an internet search to self diagnose that weird health condition you have. Your accommodation choice will often make or break your vacation. So what is a family to do? For starters, following travel bloggers like us is an excellent resource to get the inside scoop on what an accommodation is really like. You can trust us because we’ve actually been there, you know us, and we are happy to help. 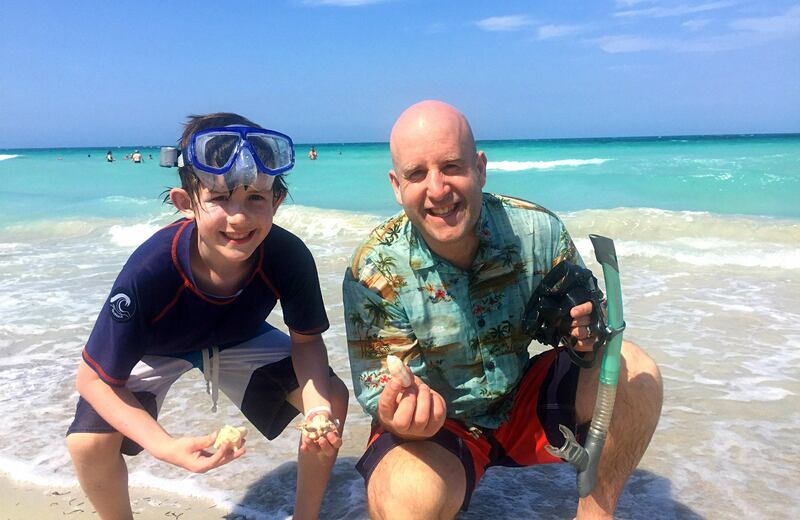 If we haven’t been there or done that, then just do a quick online search for a travel blogger who has and you’ll find it’s way better than any online review website. 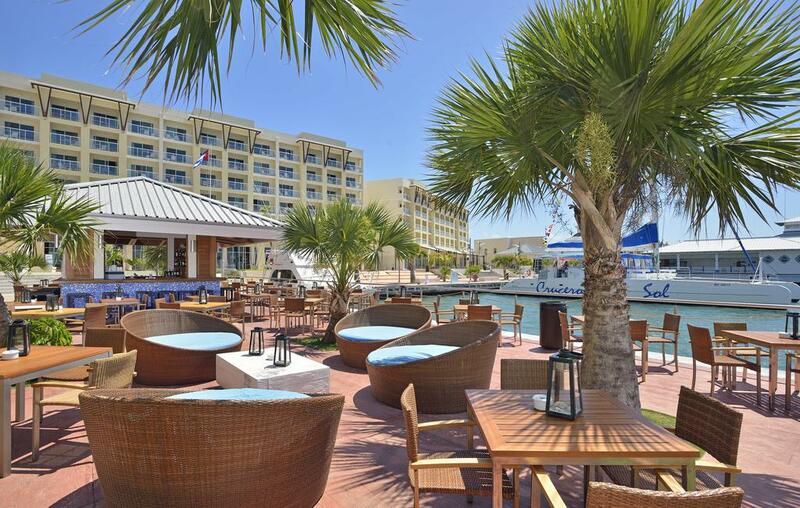 Is Melia Marina Varadero a good choice for your week-long, all-inclusive Cuban vacation? With sand between my toes, turquoise water in my sights, and palm branches swaying overhead it felt like I had just stepped into a tropical screen saver. The look of the resort was something straight out of a luxury Cuban vacation travel website. With a large, open air lobby, elegant restaurants, and paradise pool areas, we knew this place was special. Like most Cuban resorts though, if you look hard enough you are going to see some pretty odd things. Often these types of things aren’t in the highly visible areas of the resort. The hotel “bank room” is a perfect example. One minute you are standing in a majestic modern resort lobby, and the next you are transported back in time to a room that hasn’t changed since 1920. We learned that Cuba is unique in many ways. One is the fact that it just takes a long time to make minor repairs. So a broken handrail, poor signage, and missing shade awnings are simply par for the course. If you learn about Cuban culture, however, these imperfections will merely enhance your understanding of what it’s like to live in Cuba. Melia Marina Varadero has two large pools. One boasts a swim up bar with underwater stools. 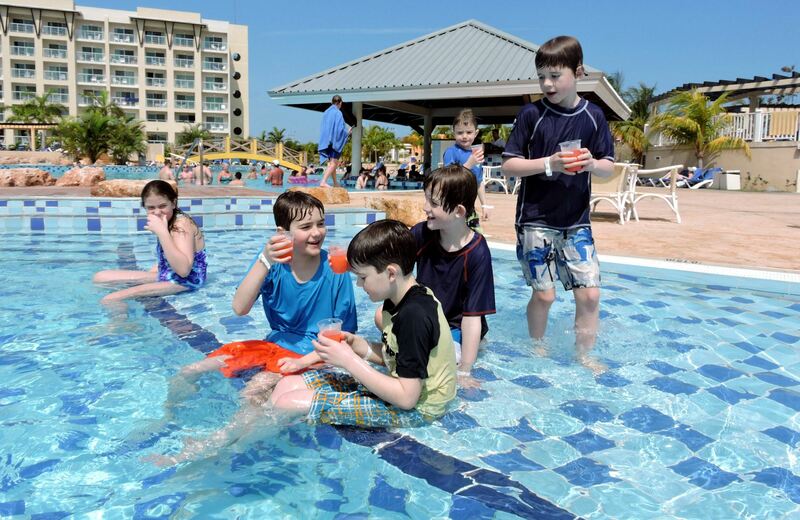 Our kids’ favourite part of the resort had to be on-demand drinks without leaving the pool! Poolside also provides water aerobics in the afternoon. It’s a good way to work off all those extra calories you added since arriving in Cuba. Beach time is a must when visiting this resort. Take the complimentary golf cart ride from the pool to the beach or simply enjoy a 5 minute walk. The sand is beautifully white with plenty of shells to find and the water is wonderfully warm. The resort provides beach chairs, but you’ll want to arrive early to reserve a spot under a coveted umbrella. Many don’t realize that off to the right of the beach entrance is a decent snorkelling area. Swim out on the far side of the dark patch and float with the current. On a calm day you will see a variety of fish and can hunt for plenty of shells. However, if it’s a wavy day, forego the snorkelling and jump in the waves with your kids! A 20-minute catamaran ride is included with a stay at Melia Marina. We had so much fun cutting over the warm Caribbean turquoise water looking back at the shore. 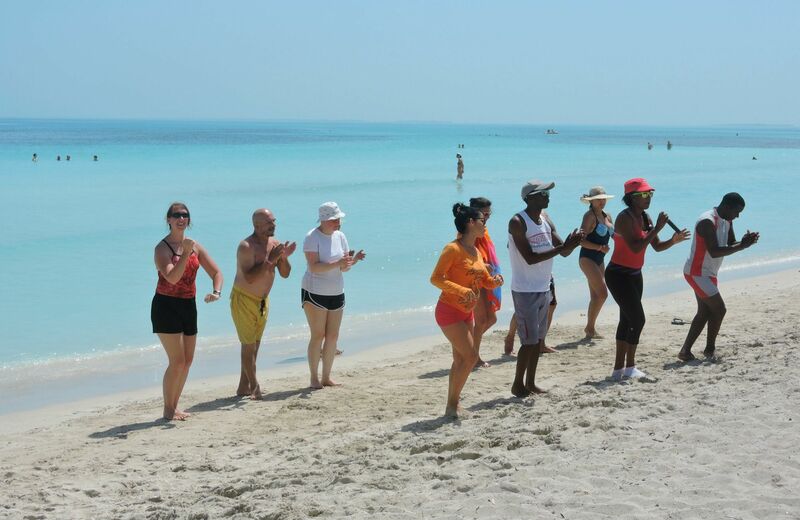 The resort staff teaches salsa and offers games for all ages at the beach. Gretta even joined in the fun and came home with some new dance moves. The evening entertainment was exceptional. Every night had something special from musical guests in the lobby to professional mariachi dancers on the beach. Even a synchronized swimming performance or a full-on dance and music show down by the Marina can be seen for your enjoyment. You can even watch from the comfort of your room balcony if you already put the kids to bed. Tennis, spa, golf, skydiving, snorkelling tours, 1950 classic car rides, and Havana Tours are all easily accessible for a fee. Just inquire at the concierge desk. We stayed in the “Classic Room – Marina View”. Most guests will either stay in this room or the “Classic Room – Pool View.” On the website they position the Marina view as the better of the two, however, the choice is really up to you. Pool View, though lively during the day, quiets right down as soon as the pool closes for the evening. The view over the pool is pleasant and relaxing and if you get a room on one of the higher floors, you can peek at the ocean off in the distance. The Marina View boasts stunning views and you’ll get to watch the catamarans come and go through the day. Around 10:00 pm every night the entertainment for that particular day starts up. Our first night we were confused what all the banging was outside so we ventured out onto the patio to get a peek. We had a fantastic show right outside our room and danced on the balcony while the kids slept inside. If you don’t want to watch (or listen to) a 30 minute Cuban show every night, then the Marina View may not be the best option for you. The maid service is excellent, the bathrooms beautiful, and the TV is in Spanish. All the rooms have a safe, small fridge stocked up with complimentary drinks, iron and board, and are equipped with air conditioning (which you will love after a hot Cuban day). The beds, however, leave something to be desired if you are used to a plush bed at home. Keep in mind, that you didn’t come to Cuba to spend all your time in the hotel room. Or at least, that’s not why we traveled there. 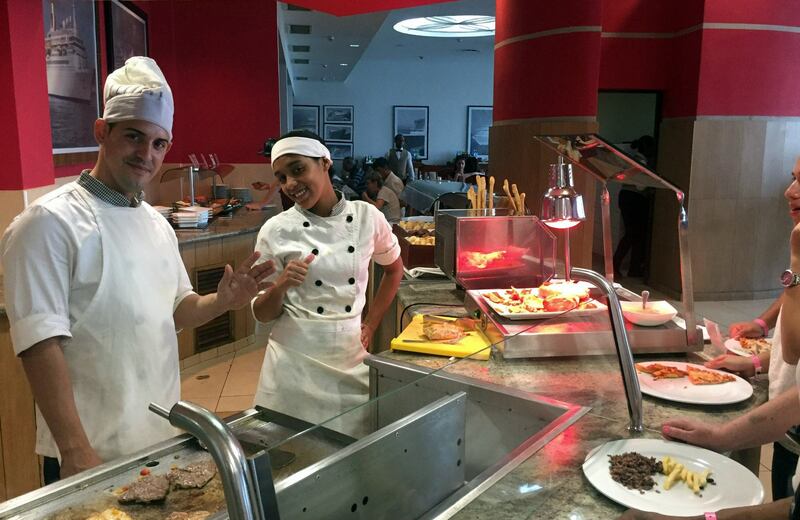 The staff at Melia Marina Varadero are very nice and do their best to make sure you have an amazing week. You will need to remember that you are in a Spanish speaking country and most staff will speak about as much English as the average Canadian can speak Spanish. Practise the game of charades ahead of time and you’ll do just fine. If you find yourself having difficulty communicating, you can always go to guest services or ask for a manager and they will gladly assist you. There is lots of talk about the specialness of “The Level”, but the big question is if it’s worth the extra money? They call “The Level” an exclusive hotel within the hotel where you receive personalized attention and luxury service. • First dibs on the personal poolside shade tent with no extra cost. That was very convenient. • Your own exclusive elegant restaurant. Other guests will eat at the buffet with the same menu every day. The Level guests dine in a private restaurant with superior food, ambiance, and service. This is the biggest perk by far. 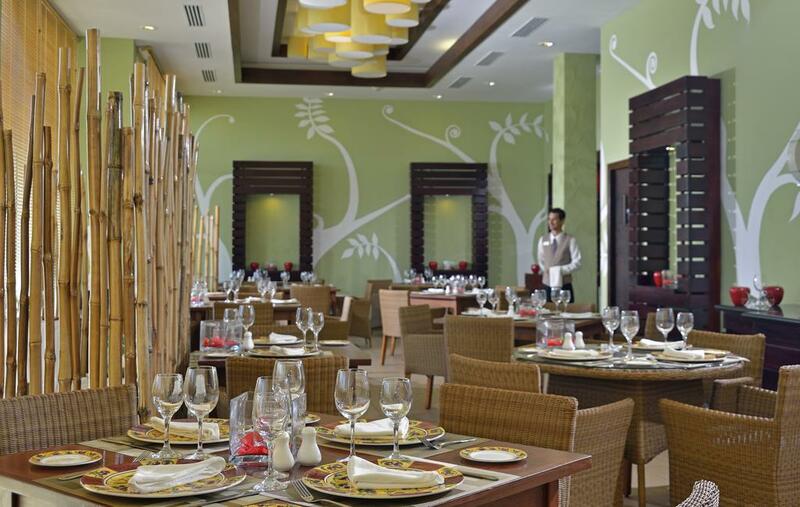 You also receive preferential treatment in making dinner reservations at the resort’s “fine dining” restaurants. • Your room will be exactly the same as a standard room, just on a higher floor with a better view. • You have access to “The Level” concierge who excels in customer service and can speak fluent English. If something is not right they will make it right. No running for fine dining reservations, extra water bottles, beach towels or paying for internet cards. Simply ask at the concierge desk and they get you what you need. • One complimentary spa service with private pool and lounge. We did not use this simply because we were just having so much fun enjoying the rest of the resort. • There are a few other perks advertised about “The Level”, but we did not experience all of it. We arrived too late and departed too early to take advantage of the private check-in and check out. We didn’t receive a complimentary carrying bag for beach towels, slippers, bathrobe, pillow menu, turn-down service, assistance with unpacking or packing luggage or the afternoon tea time with snack. It’s really not that much more expensive for “The Level”, so we say definitely go for it especially if you like quality food. 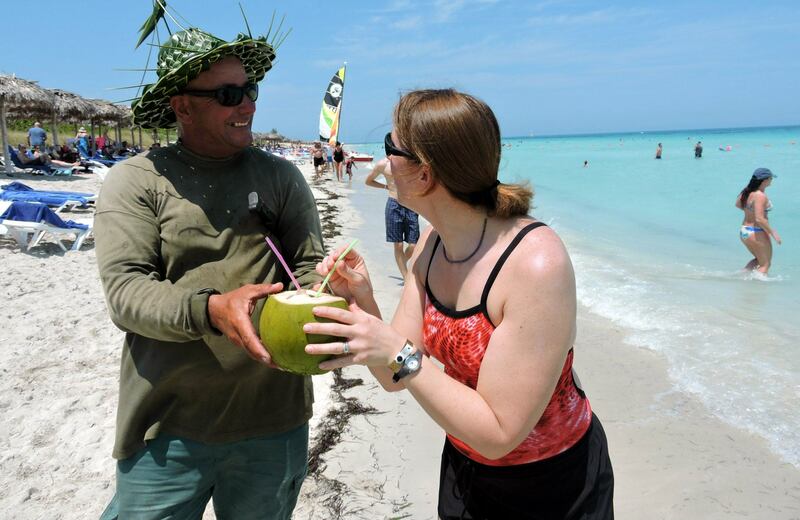 Choosing “The Level” experience increases your chances for an even more memorable Cuban vacation. You can’t lose. 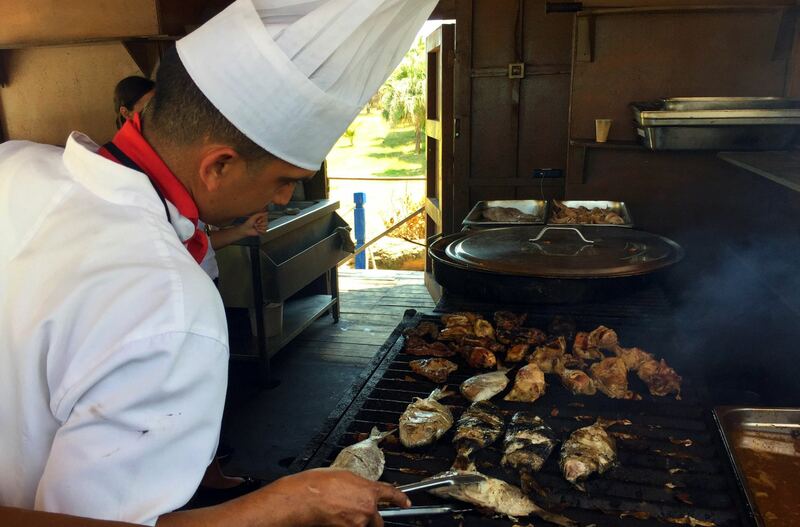 What’s The Food Like At Melia Marina Varadero? Cuban food can be quite tasty. Unfortunately, the resort visitor will not be eating true Cuban food. The food at the resort buffet is made in bulk and lacks the true flavour of the country. It’s not “bad”, it just doesn’t have the richness of spice and sauce that we are accustomed to in North America. By the end of the week I was tired of the same menu and was very glad we had access to “The Level” restaurant. It may be hard to find ketchup, ranch dressing, mustard, bbq sauce, or peanut butter, so if you can’t go without those beloved condiments for a week, you might want to think about a vacation elsewhere (or you could just pack small versions of these items in your checked luggage). In “The Level” private restaurant they had peanut butter though! And grapes. These types of things become a luxury item if you dine in the buffet for the week. 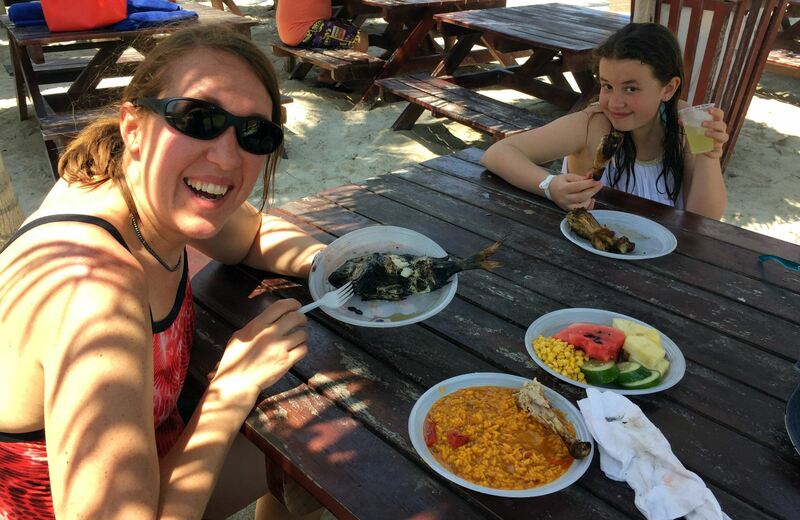 Know before you go: The resort advertises 24/7 room service and restaurants… but what they don’t tell you is they reduce the menu down to a bare bones 3-4 item menu during the non-meal times. Sure, you will get something to eat, but it may not be your favourite option. 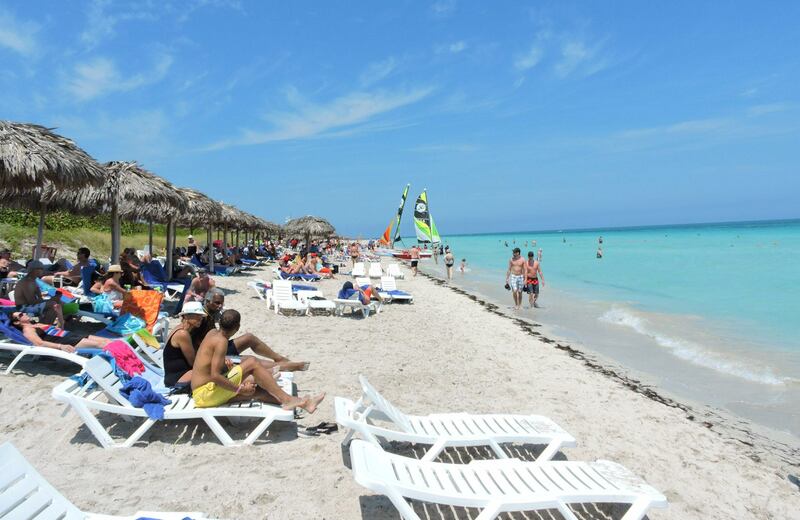 Should You Book Your Cuban Vacation At Melia Marina Varadero? Absolutely! 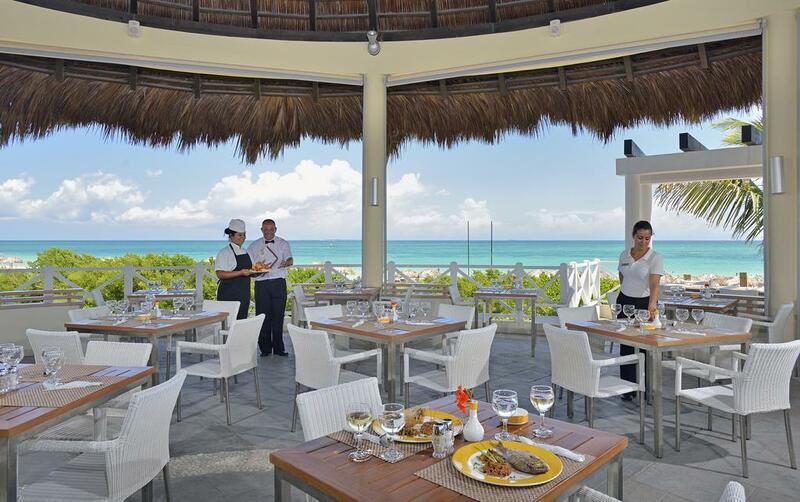 Melia Marina Varadero is a great option for a large, family friendly, all-inclusive Cuban “5 star” resort. If, however, you’re looking for a more intimate Cuban all-inclusive experience, then this may not be right for you. 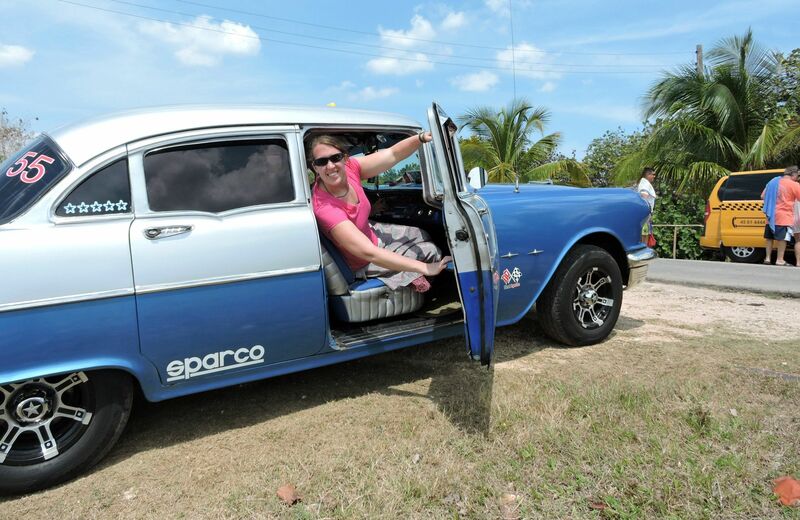 What kind of Cuban vacation experience are you looking for? This is the most important question to ask yourself. Our biggest piece of advise is to go to Cuba with realistic expectations and you’ll have a wonderful time! Official website for Melia Marina Varadero. Bus Tour To Havana, Cuba? Is It Worth It?